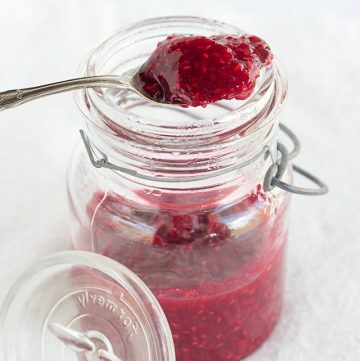 Fresh raspberries are a must for this easy raspberry jam. You can always strain out the seeds, but I wanted to keep them this time around. I don’t absolutely love having seeds in the jam, but I wanted all the larger bits of raspberries in my jam so I made the sacrifice. It’s really up to you and what you’re into. 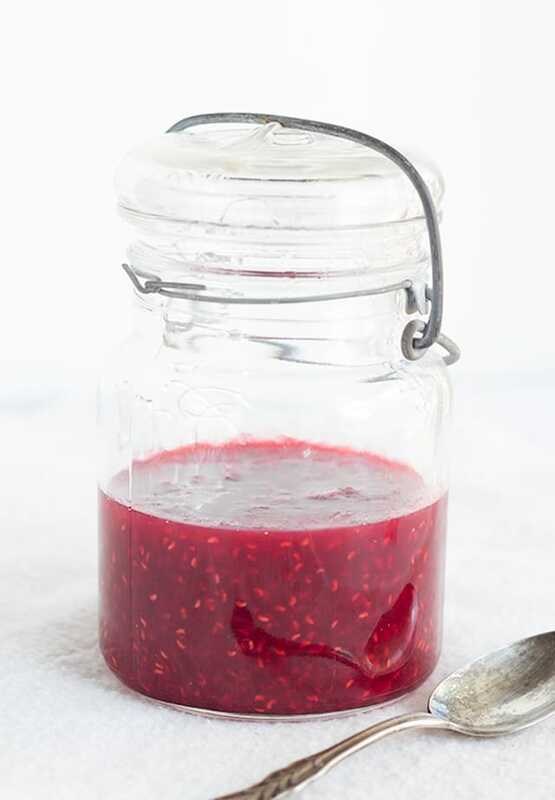 I adapted this recipe from my quick & easy strawberry jam which is equally awesome. There’s a u-pick strawberry patch near us that I LOVE going to in the summer. 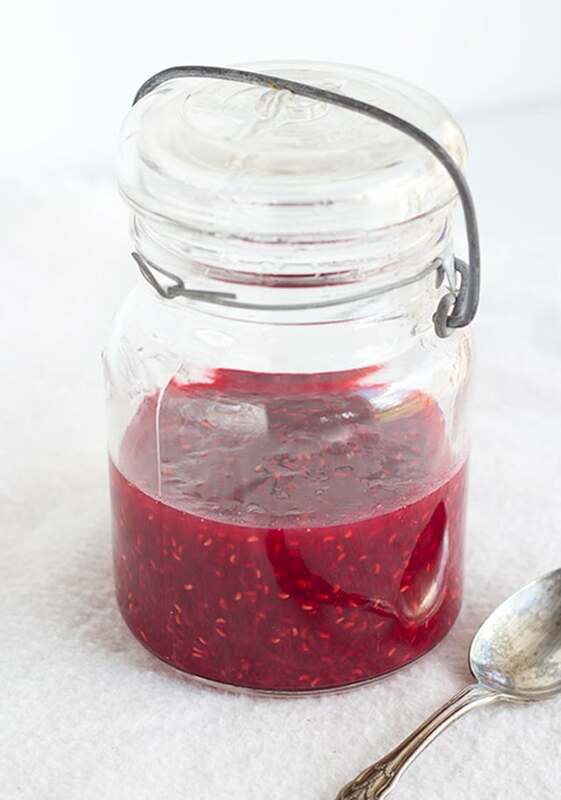 This recipe makes the perfect small batch of jam rather it’s strawberries, raspberries or blackberries. In a medium saucepan, add in the raspberries and sugar. Turn the heat on to medium. With the back of your spoon, mash the raspberries to help break them down. Keep stirring occasionally. Once the raspberries break down and the syrup thickens, remove from the heat. It will start to coat the back of your spoon. The entire process took me about 25 minutes. I poured my jam into a jar and let it cool. Place in the fridge. 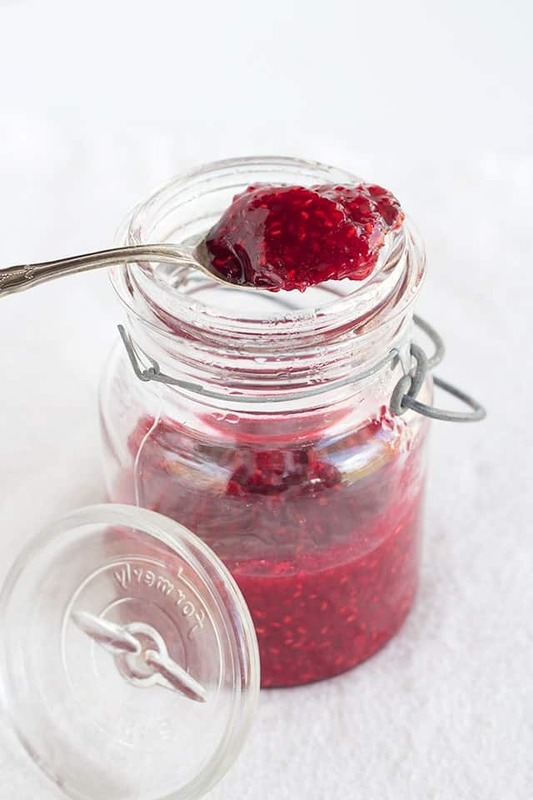 To can, pour jam into a sterilized half pint jar with a sterilized lip and ring. Place upside down and let it cool. Make sure the lid popped and the jar is sealed properly. I had to make this jam for the next recipe that’s coming up on the blog. I can’t wait to share it with you. Looks really delicious! My boyfriend loves jam, so I’m going to surprise him with this one. I’ll be making a cake which calls for raspberry jam filling. In your opinion, would this jam be a nice consistency for a spread? I’d love to use home made spread versus a store bought brand.